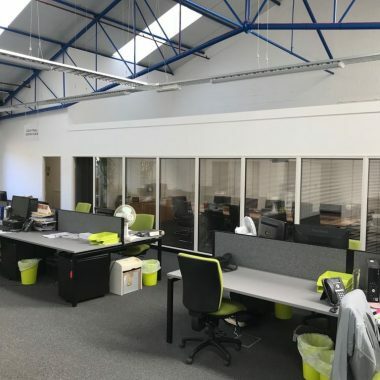 The transformation of a West Yorkshire warehouse space with a full fit out creating areas for all departments ranging from production teams to administrative teams. 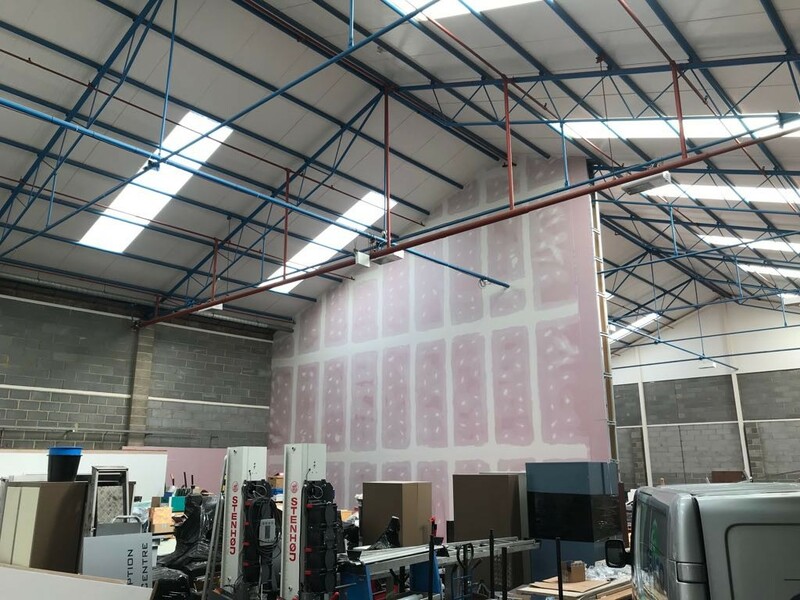 Our client requested Rodley Interiors to carry out a new warehouse fit out with partitioning install within their newly acquired space in West Yorkshire. The empty warehouse space had an almost infinite feel with its elevated ceiling height and large floor span. 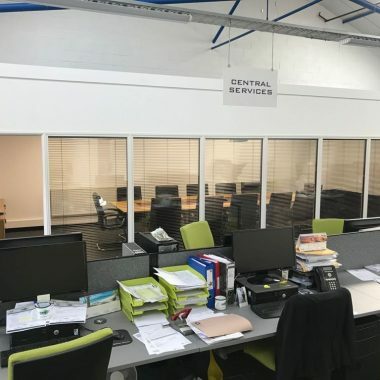 The brief was to create two areas, one for the office and administrative staff and the other new area for the production and manufacturing teams. In addition to the office and production space the brief included creating a practical kitchen and canteen along with a gym and large boardroom. Due to the industrial look of the space with exposed brick and structural beams, the walls within the warehouse first needed lining. This then enabled us to build free-standing offices and meeting rooms, along with the kitchen and gym space. The offices were constructed in a straight run which then enabled us to create a large open plan work area. 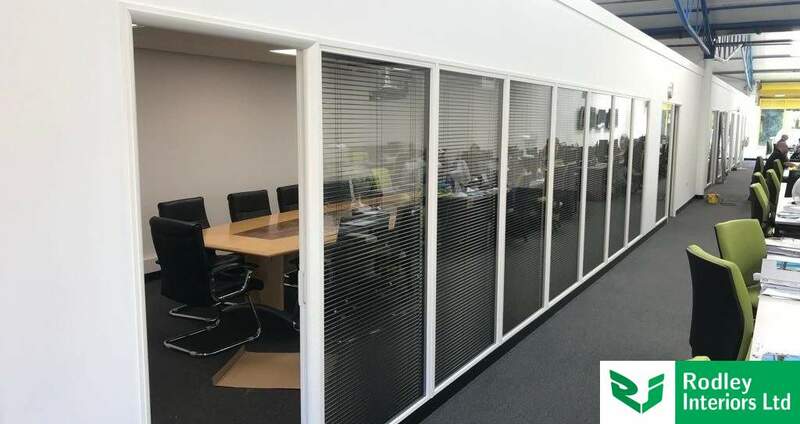 Traditionally partitioning is used to create workspaces within an office environment, but our partitioning systems also perform as well within a warehouse or industrial space. 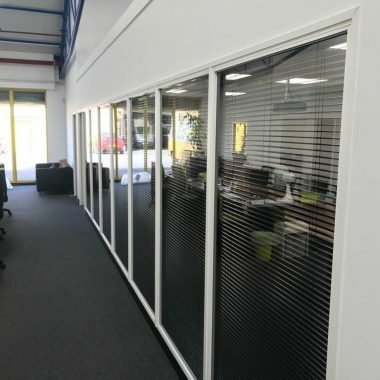 The partitioning system used offers high levels of sound retention, ideal when being constructed next to a noisy manufacturing space. To aid with additional sound retention within each office insulation slab was laid above the suspended ceiling. Dividing an extensively high ceiling within a warehouse space such at this can sometimes be challenging. Not only did we need to create a visible division between the office and manufacturing area, the division needed to stop sound travel. The ideal solution for this was installing a jumbo wall. A jumbo stud wall is a popular choice when creating floor to ceiling height divisions within warehouse or industrial space. Our jumbo stud partitions can be built to any height or width and to suit any requirement. The metal stud provides a framework that is sturdy and robust and allows for plasterboard to be fixed on with ease. In addition if insulation is fixed to the underside of the plasterboard allows for maximum sound retention. A partition like this is simple in construction and can fitted in and around existing ceiling beams and supports. When the plasterboards are fitted in a staggered effect allows for the fire and sound rating to be at its maximum. Our partitioning fixers fitted the plasterboards then applied a tape and fill finish for a smooth level surface. Suspended ceilings with LED light fittings.